Membership of Ilkeston Tennis Club is cheaper than you might think! With ADULT MEMBERSHIP FROM JUST £2 PER WEEK our club is affordable for all and as well as access to social and competitive play, entitles you to *unlimited use of the outdoor courts all year round. We have adult, junior and family memberships available, with the option to spread your annual subscription and pay by monthly standing order. 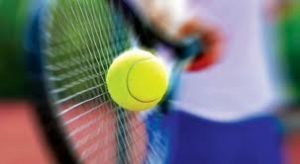 Why not CONTACT US now – you could be playing tennis by tomorrow! *Subject to availability and our timetabled coaching, matchplay, social and public access times.